B.L. 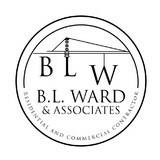 Ward & Associates, LLC is a full service residential and commercial construction management company, which also serves as a general contractor, that is fully licensed, insured and bonded. 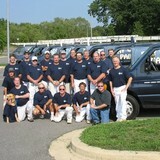 We have been in business for over 12 years serving the Greater New Castle County, DE and surrounding areas. At B.L. Ward & Associates, our motto is, ‘turning dreams into reality’ and assisting both our residential and commercial clients alike with all of their remodeling needs. The quality of our work and responsiveness to our clients remain the same - whether the project is large or small. We also are committed to working with quality, safe materials and paint that control costs for our clients while being environmentally safe. B.L. Ward & Associates, LLC specializes in custom painting, both interior and exterior, repair work and remodeling services. What's your color? Our vision is to capture your dreams and enhance your lifestyle by adding color to your world! The owner of Five Star Painting of Newark, Curtis Bull, was raised by a single Dad and a loving sister. His Dad was a member of the Air Force and also Chief of Police for several towns in southern Alabama. 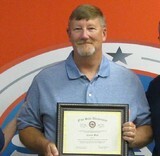 "I knew service was in my blood, I joined the U.S. Coast Guard and retired after 21.5 years. After retiring, I knew I wanted to be self employed after many other experiences in management. I looked at several business models and chose the painting industry, and specifically Five Star Painting because of the ethical way they went about business and my military background was a perfect fit. So now, I am the proud owner of Five Star Painting of Newark, DE, established in July of 2016." Five Star Painting of Newark provides interior and exterior, residential and light commercial painting services to New Castle County from Newark down to Dover. They are licensed, insured and a registered contractor with New Castle County. Call and get a FREE Estimate for all your painting needs. We look forward to working with you on all of your painting needs! Brush of Color's story begins with a group of Hand-Picked professionals from all backgrounds with one value in mind, you the Homeowner. Our team strives every day to ensure you receive the best customer service, quality work and products the market has to offer. We believe in providing options to meet all homeowners' needs, which is why there has never been a better time to have it YOUR way! Freshlook Painting llc has been a reliable Springfield (Delaware County) based Painting company serving all of Chester and Delaware counties since 2008 with over 22 years’ experience in the painting industry. We are constantly growing and improving our services. However, we will always maintain our small business attitude of giving your project the personalized attention that it deserves. We are easy to work with and will make sure that you feel comfortable while we give your home a Freshlook. We are experienced and trusted and will leave you completely satisfied in your decision. Our priority is the satisfaction of our customers. Our satisfied customers can attest to our superior craftsmanship, attention to detail, clear communication, honesty and integrity. D S Painting is a family owned & operated business. We combine over 35 years of experience with all of the latest tools and techniques to provide you with a true masterpiece that you are sure to enjoy for many years to come.